"They are very dedicated to help us finding house, researching history and giving suggestion. Jennifer is our main contact and she works so hard from morning to night. She is so patient and thoughtful to help us pick the right house for investment. I also need to thanks to their whole team, even Jennifer was not available, they can always have someone to show us the properties or answer questions with ease. We have never been turned down. 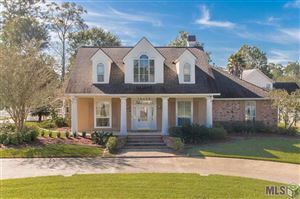 I highly recommend this team for people who looking to buy house in Baton Rouge. " "Michelle & Company's Mission, Vision, Values, & Commitment is truly a rare find and actually follows through from beginning to end. I have known Michelle for many years now and was so impressed, I joined her team to be able to be apart of Michelle & Company's growth and helping others accomplish their dreams of home sales and purchases. I feel very blessed to have the opportunity getting to know her and the positive influence she has had already in my life. Read below to see a little bit of what Michelle & Company is about. For more information, go to www.buyorsellbatonrouge.com Our Mission: We are devoted to SUPERIOR service & changing lives for our clients to have an unforgettable experience & empowering those around while assisting to remove limiting beliefs. WIN-WIN or no DEAL! Our Vision: To be such a remarkable team/company growing individuals to exponential levels leaving a legacy. Our Value: Honestly, Integrity, & Teamwork. Our Commitment to You! My real estate b"